Brief Description: Learn how to make a birthday card. How to make an illustration by combining several pictures, use some of the program filters and learn using the instrument Custom Shape Tool, increase the quantity of the clouds on the sky and represent the text's reflection also. 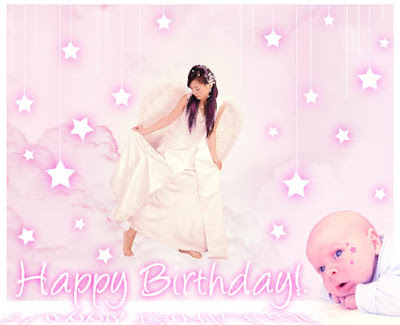 This photoshop birthday cards tutorial is useful for other greetings as well.